SANDY CREEK – The Sandy Creek Drama Department will present the musical “Annie” on March 10 and 11 at the Sandy Creek Middle/High School Auditorium. 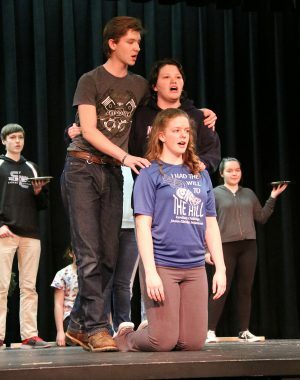 Daddy Warbucks, played by William Robbins; Grace Farrell, played by Hannah Sawchuck; and Annie, played by Sydney Cook; rehearse for the March 10 and 11 production of “Annie” at Sandy Creek High School. Curtain goes up at 7 p.m. Tickets prices are $5 for students and senior citizens, and $7 for adults. Annie has been called one of the best musicals ever and this production by the cast at Sandy Creek should prove to confirm that statement. With a stellar cast, beloved songs, and hilarious hijinks this show is a must see. 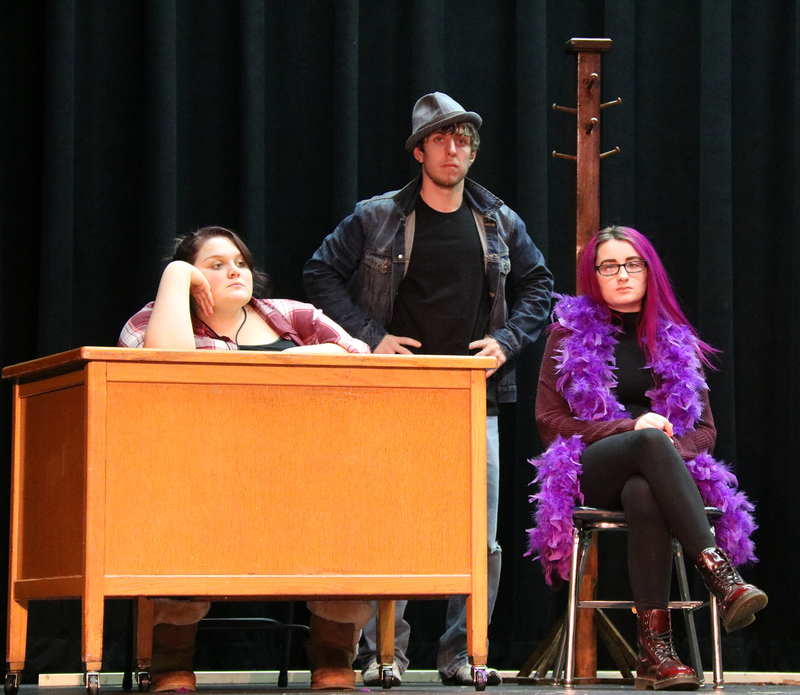 The musical is under the direction of Sandy Kinney, Valerie Marshall with production assistance by Chas Worden. Miss Agatha Hannigan, played by Mariah Hess; Daniel “Rooster” Hannigan, played by J.J. Hays; and Lily St. Regis, played by Emily Kehoe; bemoan Annie’s good fortune at finding a home with Oliver “Daddy” Warbucks.